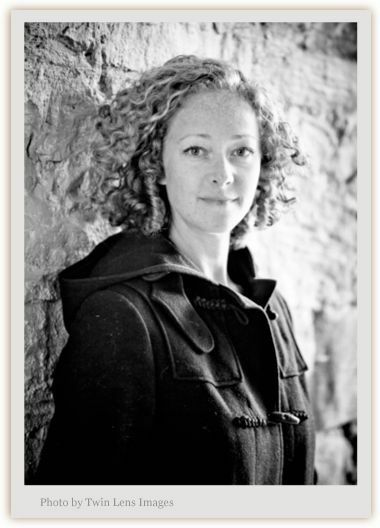 Please welcome Ramona Ausubel to The Qwillery. 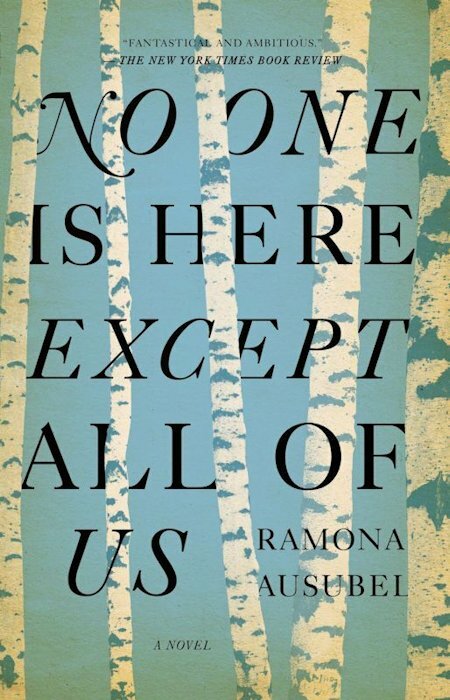 Ramona's debut, No One is Here Except All of Us, was published in February 2012 (hardcover). The Trade Paperback was published on February 5, 2013. Recently, Smithsonian ran a story about a Russian family that that spent forty years living deep in the forest, completely unconnected to the “real” world. They fled religious persecution in the 1930s when the atheist Bolsheviks took power. Discovered by geologists in middle of some five-million square miles of rushing rivers, ice-bogs, bears and wolves, the family of five was living in a dark, filthy dwelling the geologists described as "a low, soot-blackened log kennel that was as cold as a cellar." The two youngest children (in their thirties by then) had never seen a human being who was not a member of their family. They ate raw potatoes with crushed seeds, having lost their kettle to rust many years before. The one son, Dmitry, learned to hunt, but since they had no knives or guns, his method was to track the animals until they became too exhausted to keep running. He “could hunt barefoot in winter, sometimes returning to the hut after several days, having slept in the open in 40 degrees of frost, a young elk across his shoulders.” In 1961, a hard frost in June killed all the crops, the mother starved to death in order to save her children. Then, a miracle: one stalk of rye sprouted in their garden. They took turns protecting the single sprout from rodents day and night. It yielded eighteen grains, and slowly, they rebuilt their crops. 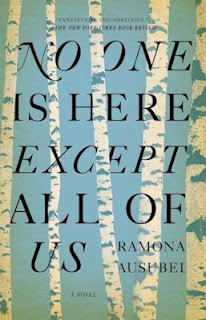 My novel No One is Here Except All of Us begins in 1939 when the residents of a small village make the decision to start the world over again in order to escape the imminent war. They cut themselves off from reality and live as if on an island. Over the course of the book, the main character, Lena, flees into the woods with her children where they survive on tree bark and stolen potatoes. People ask me all the time if the book is magical realism. How could a group of people believe in that kind of escape? How could a woman survive with absolutely nothing? I think about the Lykov family out there in the Taiga, a mother teaching her children to write using the juice of a honeysuckle blossom for ink and a sharp stick for a pen. I think of them surviving forty Siberian winters with shoes made of birch bark. If their story was a novel, we might be tempted to push it somewhere into the realm of fantasy, and that would not be unfair or untrue. Literature is filled with fantasy because the world is filled with it. Is my book magical realism? Sure, but so is everything else on earth. In 1939, the residents of a tiny Romanian village are counting upon their isolation to protect them from the catastrophe sweeping Europe. When a mysterious stranger is washed up on the riverbank and the illusion of peace is shattered, the villagers are forced to acknowledge the precariousness of their situation. But even with danger imminent in every direction, the territory of imagination is limitless. At the suggestion of an eleven-year-old-girl and the stranger, the villagers decide, through sheer will, to reinvent the world. Destiny is unwritten. Time and history are forgotten. And for years, there is boundless hope. 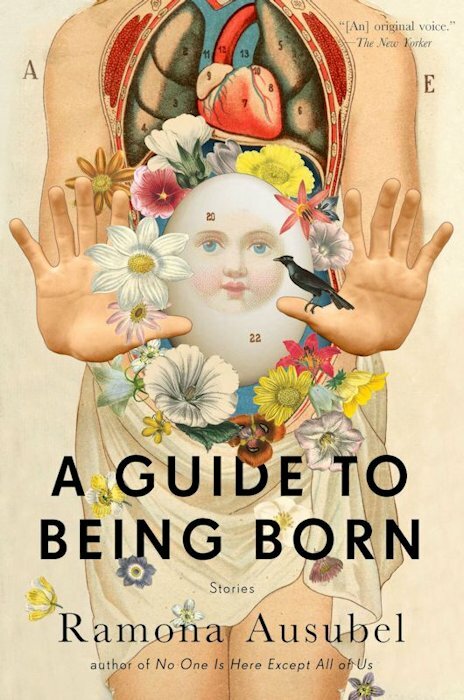 But as the young girl comes of age, as the real world continues to unfold alongside the imagined one, she will learn the bigness of being alive as an individual, as a member of a tribe, and as a participant in history, and discover the power in shaping one’s own truths. Reminiscent of Aimee Bender and Karen Russell—an enthralling new collection that uses the world of the imagination to explore the heart of the human condition. 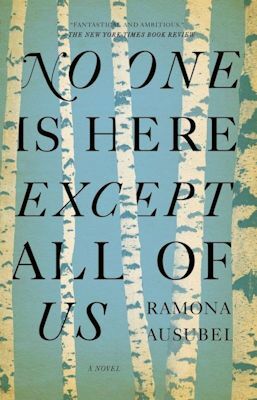 Ramona Ausubel grew up in Santa Fe, New Mexico. She is the author of the novel No One is Here Except All of Us, published by Riverhead Books in 2012, with the collection of short stories A Guide to Being Born to follow. She holds an MFA from the University of California, Irvine where she won the Glenn Schaeffer Award in Fiction and served as editor of Faultline Journal of Art & Literature. Her work has appeared in The New Yorker, One Story, the Green Mountains Review, pax americana, The Orange Coast Review, Slice and collected in The Best American Fantasy and online in The Paris Review. Her work was included in a list of “100 Other Distinguished Stories of 2008″ in the Best American Short Stories and thrice as a “Notable” story in the Best American Non-Required Reading. She has been a finalist for the Puschart Prize and a Fellow at the Bread Loaf Writers’ Conference. She lives in Santa Barbara, California. Sounds incredible. This just jumped to the top of my Must Read list for the year. When I think of magical realism, I think of Haryki Murakami. So odd and so true. I don't know if it's magical realism but the first book I've read that came to my mind when I read the question was Spellcast by Barbara Ashford. I couldn't really think of an example except perhaps for HARRY POTTER.